SolaTrim is a lightweight aluminum skirt that is attached with a 3M VHB 5952 peel and stick adhesive. Installing a protective barrier or skirt with a rooftop solar system should no longer be considered an add-on or upgrade but rather an integral part of the design. The argument why is self-explanatory once you play out the scenario. So, let’s play it out. A protective barrier provides pest protection. This is the most common consideration for a barrier’s utility as part of a PV system, so let’s start here. In the Northeast, squirrels can literally eat solar profits. If you are selling microinverter-based systems, it is negligent to not install a protective barrier, otherwise you’ve left the door open to an endless buffet. Eliminating pest issues reduces O&M costs. You could price the system a bit higher with the protection included and increase your margin, but the real bottom line benefit comes from slashing operation and maintenance (O&M) costs. Preventing system damage from pest intrusion means O&M calls will be related to component issues, which can be more accurately factored into the cost of doing business. For example, if you budget $2,400 as an average cost per call per system each year, even if 5 to 10 percent of those calls are prevented, the savings are significant. Protective skirt manufacturer SolaTrim LLC devised a spreadsheet algorithm to calculate the potential for avoided costs. Its estimates say an installer doing 5,000 systems a year could save up to 20 cents per watt, which scales down to 5 to 7 cents per watt for an installer only doing a dozen or so systems per month. SUNation Solar, the largest solar company in Long Island, N.Y., believes so much in the O&M value that it not only includes SolaTrim on every system it installs, but also purchased the O&M contracts for an additional 3,000 systems, knowing the ROI they could get from this simple upgrade. SUNation is currently petitioning its regional building department to make this a mandatory part of a rooftop solar installation — a change the Canadian Electrical Code introduced in 2016. Better system aesthetics improves customer satisfaction. Customers don’t always understand the value of the inverter selected or the quality of the mounting and racking systems, but they will surely judge whether something looks shoddy. “Presenting a better looking system will improve reliability and offer something competitors don’t, which will increase your quoting percentage,” Smith says. This one is a little more dependent on the solution you choose. 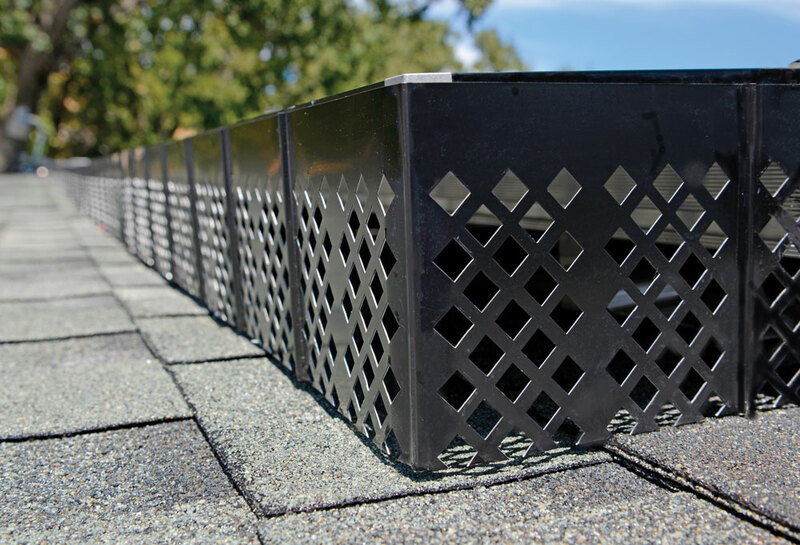 If you are mitigating pest intrusion by rigging up bird mesh or chicken wire, you might be solving the pest problem at the expense of aesthetics. This method for installation is a bit labor intensive too, often involving screws or attachment on the underside of the array (some modules might actually not allow this). A newer solution built just for the solar industry should avoid those issues. For example, SolaTrim is a lightweight piece of aluminum that is attached with a 3M VHB 5952 peel and stick adhesive — a proven long-term adhesion method used in commercial operations and construction. Within 24 hours, a lasting bond is formed that will survive any climate conditions. Available throughout North America via SolaTrim’s distributor channel, the original ST-001 is 6.75 in. wide by 48 in. long, and the new ST-055 is 5.5 in. wide. “We played around with a lot of different adhesives, and we found this was the one that would do what we asked of it — attach to an aluminum frame and create a chemical weld to make it a long-lasting barrier,” Smith says of the 3M adhesive. Don’t let “lasting bond” scare you from a maintenance perspective though. A chemical bond can be physically compromised by slipping a utility knife into the seam and defeating the adhesive. The barrier snaps off, allows for maintenance or replacement and then a new protective piece is applied the same way as before. Satisfied customers mean more referrals and lower customer acquisition costs. For a customer, a solar system’s long-term performance benefits are abstract, while a system’s aesthetics are tangible in the moment. The visceral reaction to a how a system looks is important for the all mighty positive review online after completion, which holds real value in today’s market. Once customers are happy and people on the street see it, over time, referral rates will uptick and the cost of customer acquisition starts to tick downward. There’s obviously no guarantee of that direct correlation between environmental protection and lower customer acquisition costs, but the risk to you versus the reward proposition given the benefits of a reliable backside module is hard to argue. At the very least, a protective barrier protects your solar company by reducing the number of factors that leave a customer dissatisfied.